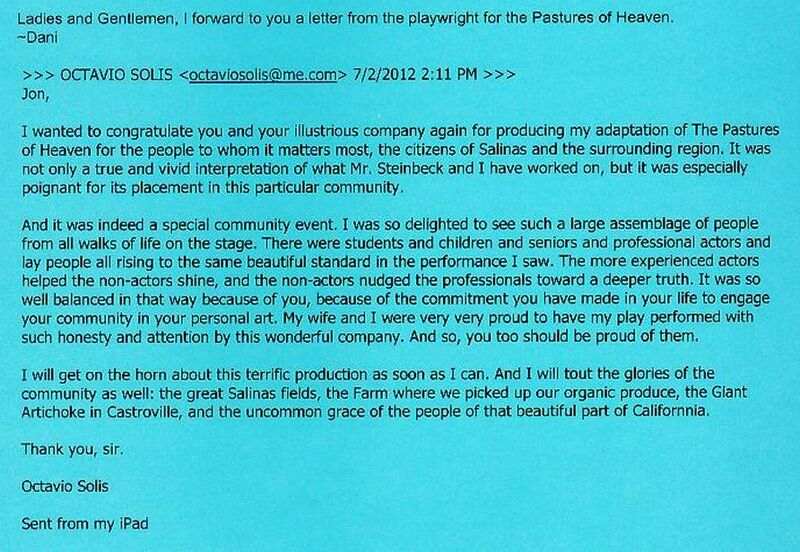 The Pastures of Heaven was produced in 2014, 2013, and 2012 by The Western Stage, Salinas CA. Pictures featured are from the 2013 and 2012 productions. 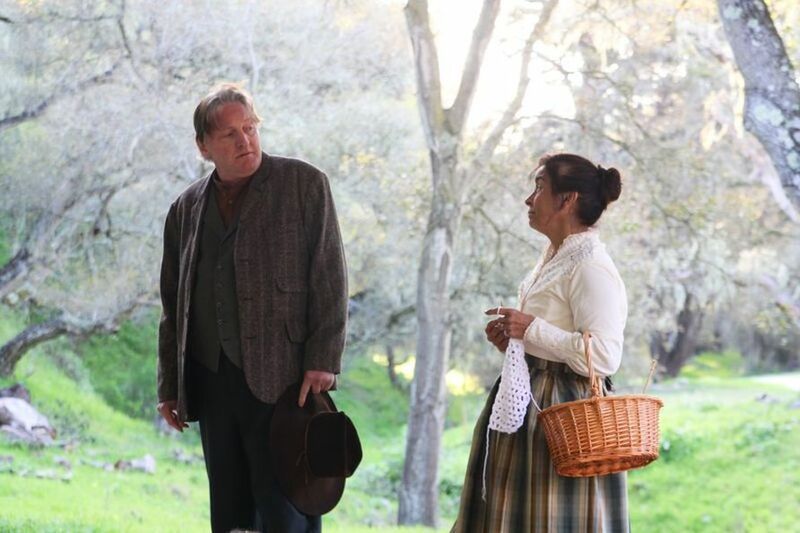 Joyful eccentric Junius Malby (Heyer) with Salinas school teacher Molly Morgan (Kelly Yarborough) in The Pastures of Heaven adapted by Octavio Solis at The Western Stage in Salinas. 2012 photo by Richard Green. Burt Monroe (Heyer) drives with wife (Nancy Bernhard, JTH’s wife for the first time playing his wife), musicians Don Dally and Tom Kiatta behind in The Pastures of Heaven adapted by Octavio Solis at The Western Stage in Salinas. 2012 photo by Richard Green. 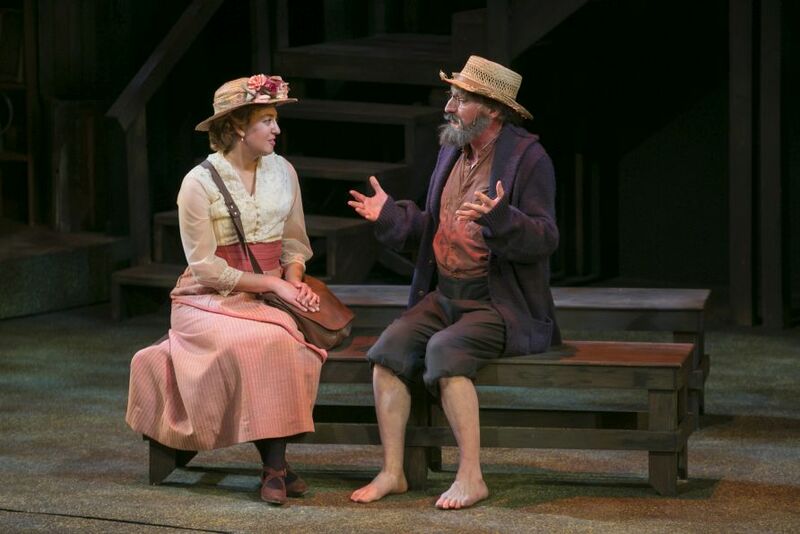 Burt Monroe (Heyer) with wife (Angel Dratz) in The Pastures of Heaven, The Western Stage 2013. 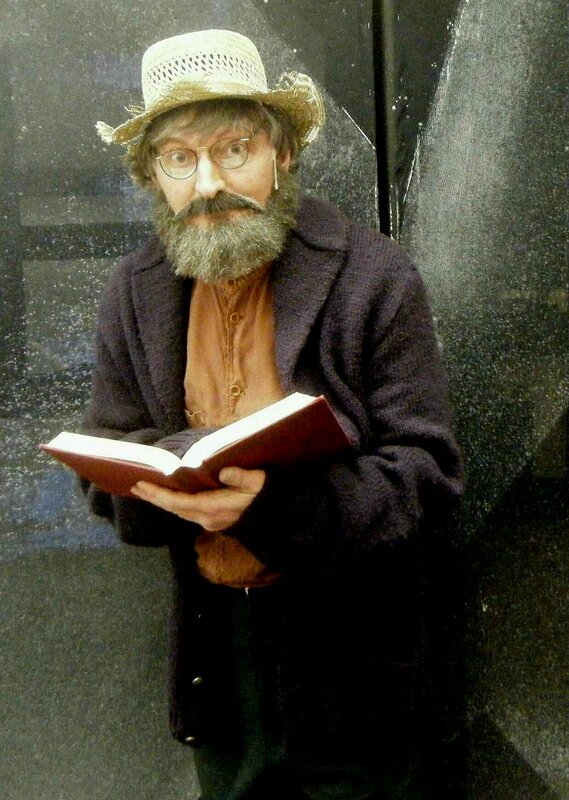 The section of the play based on the historical Marks Ranch was enacted on the actual Marks Ranch.